It goes without saying that I am not the athletic type - not in the slightest. I actually relate to the 'lazy girl' aesthetic more than I like to admit. I don't have a competitive bone in my body and the only sport I've ever really done was synchronized swimming. The puck stops there when it comes to athletic ability! Anyone who knows me in real life knows I'm pretty lazy when it comes to exercise - I love riding my bike and I like to walk, but anything that's competitive doesn't interest me, and I foolishly associate all sports with competition so I drew the line there and that's it. When we moved back to Ottawa a few years ago I joined a yoga studio and went religiously. Once summer rolled around I cancelled my membership and well, that was two years ago...and I haven't re-instated it. In my late 20's I need to start taking better care of myself. Self-care has been top of mind for me lately, being conscious of what I'm putting in and on my body, and how I can get exercise that fits into my (not very competitive, overly 'lazy') lifestyle. Enter: The Dailey Method. When Sarah, the co-owner of the Dailey Method Ottawa studio, reached out to me a few weeks ago asking if I was up to take their 30-day blogger challenge, after a bit of thought, I decided I should give it a try. So, what is The Dailey Method and why did it pique my interest? 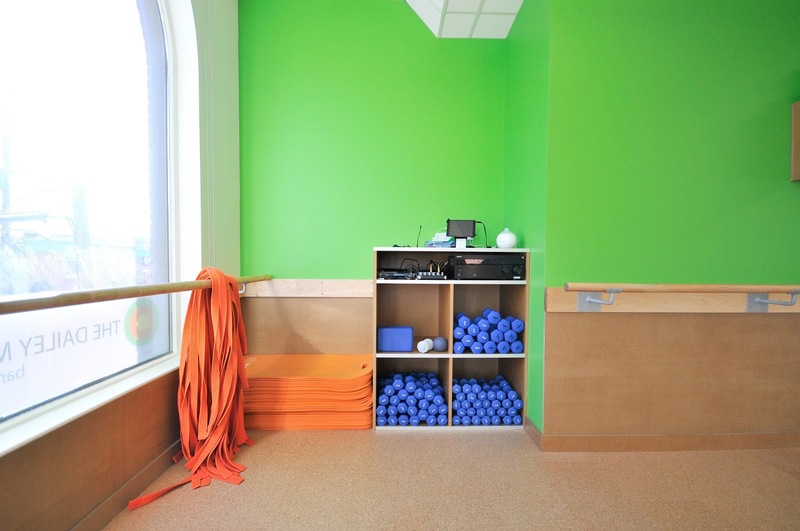 The Dailey Method combines ballet barre work, core conditioning and orthopedic exercise. With an intrinsic focus on alignment and strength, the results are better posture, better movement and better you. I visit the chiropractor on a bi-weekly basis to improve my posture and mobility (I promise I'm not a 90 year old disguised as a 27 year old! ), so why not do exactly the same but through exercise. After some thought on it, I decided to give it a go and I'll be honest with you, I saw results I'm really happy with. The instructors are friendly, accommodating, and hands-on which I really appreciate. If I'm going to be there to improve my overall health and well-being, I want to make sure it's worth my time! I'm disappointed to say I only made it to class twice this week, although one of those times was Saturday morning at 8:30am! I was really sore after the Wednesday evening class so I knew I couldn't go again on Thursday. After Saturday morning's class my sore legs were no more and I felt so ready to take on the rest of the day. There's certainly something to be said about working out first thing in the morning. The one thing worth noting from week one is that I was surprised by my pre-existing strength (I don't hold a 60 second plank for fun very often, so I didn't know I was capable!) and I was excited to see if I made any progress by the end of the 30 days. I was determined to make it to class 3 times this week, but I didn't. Just two times. As a girl who isn't super active I guess two times is better than none, right? I had no excuse to not make it three times other than I just didn't. I didn't see a ton of change between week two and three. The last week had arrived and I was sad to see it go. The end of August crept up really quickly and my days filled up too, alas only making it twice. So I made a total of 8 times (plus my trial class, so technically 9) over the 30 days. The results? I truly feel better. My posture feels better (anyone who knows me in real life knows I am the biggest sloucher!) and overall I feel great. This week doesn't signify the end of my time at the barre, I will definitely be back. So I didn't see earth-shattering changes, but overall I felt better. Less sluggish, less like a lazy slob and more like a functioning human. I struggle with poor posture but at the end of the 30 days I felt a bit taller. I have really sore hips (again, I swear I'm not 100 years old) and I could feel the difference in my range of motion and capability to move. If you're looking for an opportunity to improve your overall health and see a change in yourself, I strongly suggest you give The Dailey Method a chance. 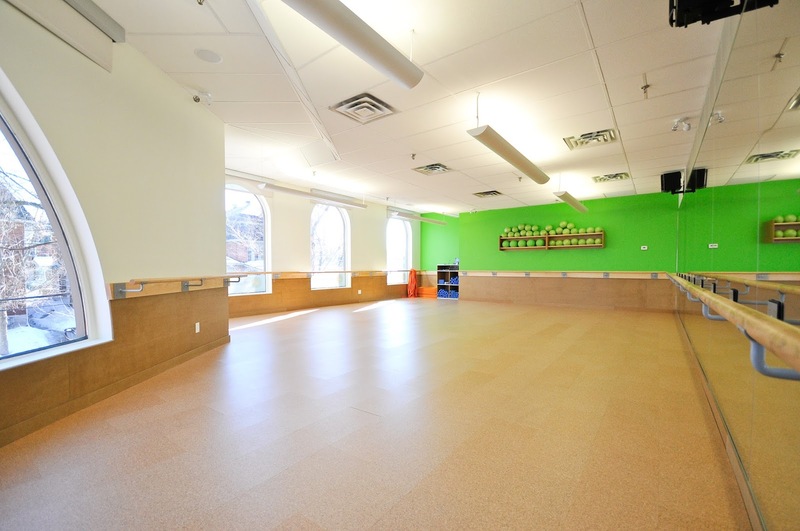 With studios all over the world (and in BC, Alberta and Ontario) there's no excuses not to try at least one class! Do you want to give The Dailey Method Ottawa try? Join with their new client unlimited month for $79! I've been inspired to take better care of myself from here on out, which includes food and exercise, so follow along on my fitness journey as I make way for a better version of me. How do you stay active and take care of your overall well-being? Is fitness a large part of your life or an after-thought like it is for me? Thank you to the Dailey Method Ottawa for the chance to try out the studio! All thoughts and opinions are my own. Photos courtesy of Sarah Thompson of The Dailey Method. Thank you so much for your candid review and for taking on our blogger challenge. We look forward to getting you back in the studio and achieving your goal of 3x/week!